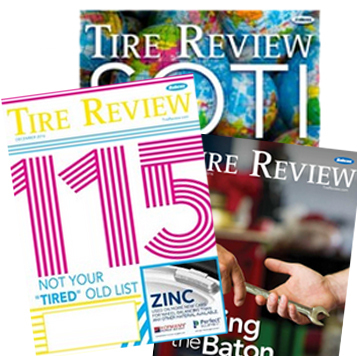 Tire Review: What are some of the biggest changes made at BKT USA Inc. and BKT Tires Inc.? • Highly professional, trained and experienced team with enthusiasm and positive attitude of how to serve our customers better and give exceptional service. • Better product mix, more in tune with current market needs. • Supply of a full range of off-the-road tires – from a golf cart tire to very large mining tires – including choice of over 2,500 SKUs. • Increased capacity, with the opening of our new, sophisticated Bhuj plant to fulfill orders faster and cut down on delivery time from order. • Better training modules for the sales force of our distributors and dealers, making them better prepared for the needs of their customers. TR: Do you have a strategic plan for the next couple years? • Build further on the momentum we have. • With added capacity, focus on sale to OE manufacturers, offering them very high quality products with better value. Being a global supplier with distribution in over 130 countries, we can now service OEMs better. • Build stronger long-term relationship with our dealers, distributors and OE manufacturers. 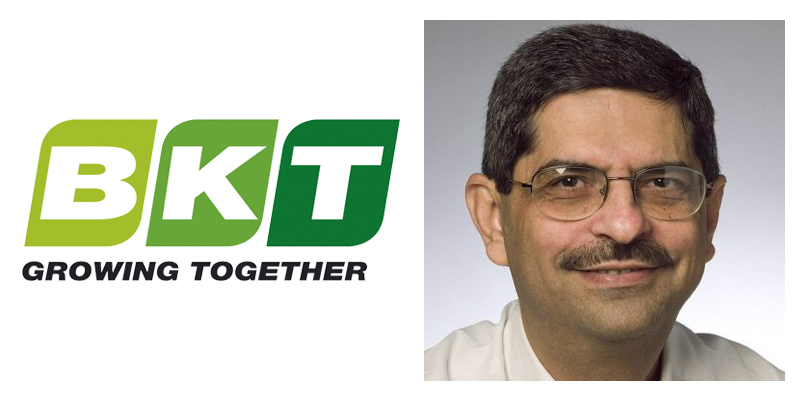 TR: How has BKT’s growth strategy changed within the U.S. since the formation of BKT USA Inc. and BKT Tires Inc.? • With stronger relationships with our customers comes greater responsibility to serve the needs of our various types of customers better. • Investing in supplying our customers with analytical tools that help sell BKT products faster from their inventory. • Continue our efforts to build brand awareness through our partner, Feld, on Monster Jam events. • Extend ‘pull’ strategy to bring demand of BKT products to our customers’ counters through Monster Jam Experience, powered by BKT. TR: What are some of the biggest challenges facing the agriculture industry in the U.S.? How is BKT addressing those challenges? MM: “For USA farmers, the prices of crops and their margins have dropped. BKT helps by offering products with very high and consistent quality at reasonable prices, thereby helping farmers save money through their usage. The total value package BKT offers, including excellent after-sales service, provides farmers with peace of mind regarding their tires. • BKT distributors and dealers help because they are the partners and conduits through which BKT message reaches the farmers. TR: What are some of the biggest trends happening in the ag industry that are shaping the tire segment? • Conversion from bias tires to radial tires. • Moving towards IF and more so towards VF technologies. The machines are getting bigger, more powerful with more functionalities, needing the tires to match in performance capabilities without changing the size of the tires or increase in air pressures. • IF and VF technologies are being sought in implement tires. • Stubble-resistant tread sought in implement tires. TR: What does the future look like for BKT within the U.S.? Are there any plans or need to build a plant here?